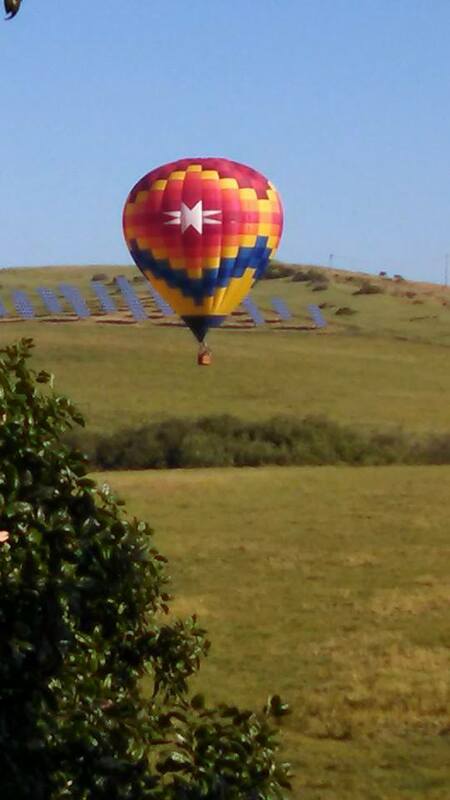 A common site to see living in Sonoma County is hot air balloons. There have been mornings when I could see eight or nine of those colorful beauties floating peacefully over the rolling hills of vineyards on a bright clear morning. Beautiful site, but a common one. What you don’t see every day is one making what could possibly have been an emergency landing about 100 feet off the road after you drop your kids off at school. It was clearly not an urgent situation, so I was delighted to take a few pictures and really enjoy seeing one up close. 5 hr. Energy Shots, Bravo! TV marathons, and Starbucks keep Penny sane. Until they don’t. Even paddle boards, bonfires & bikinis won’t help Penny escape her recurring nightmare. When Penny meets Delsin everything changes. Each morning she comes to meet him, handing over pieces of her heart. But when Penny is confronted with her worst nightmare, Delsin asks for a sacrifice she didn’t see coming. Special Forces veteran Travis Combs just wanted to forget his weary years of leading combat missions while taking an extended rafting trip through the Grand Canyon. As he and his group complete a 22-day trip on the Colorado River, they find the world has unraveled from a deadly pandemic. Now, he has to show his small band how to live off the land and cross the rugged Arizona desert, while evading blood-drinking zombies, gangs of cartel bikers, and a rogue government agency. Approximately 192 pages. It was 1883. Lorrie McDonald packed up what little she had left and threw it in the back of her buggy. Why won’t they leave me alone? She thought back to when she was only twelve years old and her parents were murdered. That was 1865, so long ago. Why do they hate me? Hardened by her past, there were no tears in her eyes as she gathered her belongings. Men from town had paid her and Ghost Badger a visit late at night. They burned her house to the ground, but Lorrie escaped, which sent the men who did it running for their lives. The Scorpion Lady was on the loose, setting out to track down each one of them and make them pay for what they’d done. As she drives her buggy away from the ashes of her home, all she has left is the clothes on her back, Ghost Badger’s knife, her pa’s old pistol, the rifle she took from the man who killed her parents and, most of all, her prized possession: A jar full of really mad scorpions. She went back to Fort Sill pregnant with Ghost Badger’s baby and his gold under her seat. Morgan Spencer, Fort Sill’s doctor, had offered her a job where she could live at the infirmary. She knew the doctor cared for her. She had felt it when they said goodbye. Morgan had never been anything other than a gentleman to her, but then she had only known him for a short while. If he tried to take advantage of her, she still had those scorpions. A Dark / Epic fantasy adventure – Hunted by monsters and haunted by demons from lives they cannot remember; A golden eyed barbarian woman, a spar wielding witch warrior, and a rogue archer awaken on a sea going slave galleon. After freeing the ship from its undead crew, they free a crew of captured pirates an set off in search of their memories. Dr. David McGill is a man with a problem.His close friend, Demi Myerson, is in grave danger, and she refuses his help.When she starts stealing from Dr. McGill’s restaurant, he turns to Sarasota Private Investigator Jack Winters.As Jack begins treading his way through the tangled landscape of Demi’s life, he uncovers some dark secrets – secrets that were not meant to be uncovered – secrets leading from her shocking past to blackmail, setups, and murder. Jack risks everything to help her, but is it too late?He soon finds his own back against the wall as the police begin questioning him about evidence tampering and a missing murder weapon.Time is running short, and Jack is trapped in a nightmare where no one seems to be telling the truth and each new piece of evidence makes the woman for whom he’s risked his reputation, career, and freedom appear guilty of murder.